With big plans for its NMD lineup scheduled for the rest of the year, adidas Originals recently revealed some new “Bred” takes for its R1 lineup. Opting for darker tones, the NMD R1 and the NMD R1 Primeknit are given black and red makeovers that highlight the standout elements on the two models. 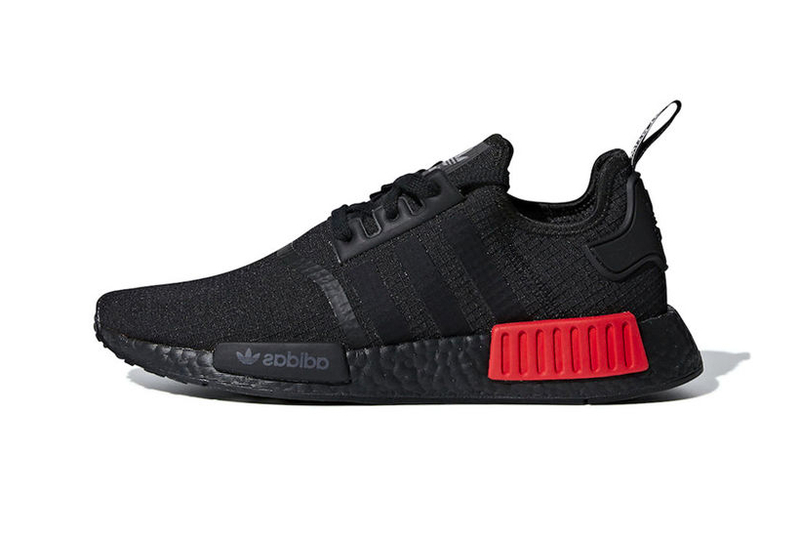 The NMD R1 goes monochromatic with a full black upper complete with matching EVA Three Stripes midfoot branding and heel counter, while a full-length black BOOST midsole accented by red TPU sole bumpers finishes off the look. The emerging NMD R1 Primeknit-assisted silhouette is dressed in a marbled black and red contrast pattern and features the same full-length black BOOST midsole, however instead with black TPU sole bumpers. Priced at $170 USD and $130 USD, the “Bred” NMD R1 Primeknit and NMD R1 are set to release at select adidas retailers August 13 and September 6 respectively. In case you missed it, an END. x adidas Yung-1 sneaker is set to release soon. While the project is expected to drop soon. Will make its debut later this summer. While Luka Modrić is named player of the tournament. Neutral tones with dip-dyed motifs.